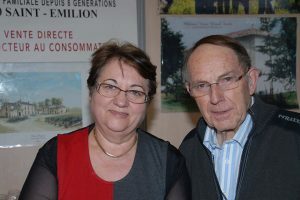 Pascal and Véronique took over the management of the vineyards : Pascal leads the winery and Véronique, as a tourist guide by profession, develops the marketing and enotourism. Jean and Bernadette, the seventh generation, passed down Château Champion and Château Vieux Grand Faurie to Pascal in 1994. They can be found at wine fairs throughout France and Belgium all year long. 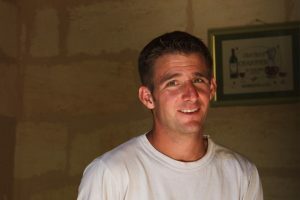 Julien is our right-hand on the vineyards , really multipurpose, he’s working as well in the vines, in the wine cellar, at wine fairs ! Hélène who is training to be an enotourism developer in the MFR in Vayres, until the end of September 2018. Thibaut, who is in his first-year of agricultural engineering school in SupAgro in Montpellier. He took part in harvest and the vinification process in 2017, and he will rejoin us in July 2018 for one month.